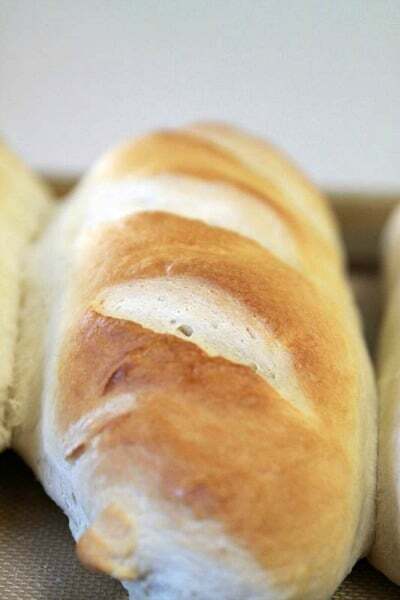 I’ve wanted to try to bake my own bread for a while now but I haven’t given my mom’s homemade bread recipe a try yet. When I do, I’ll be sure to share it here with you…even if it’s a total flop. My son has food allergies so I’ve been cooking a lot more at home in the last few years and bread is the next thing on my list to try. 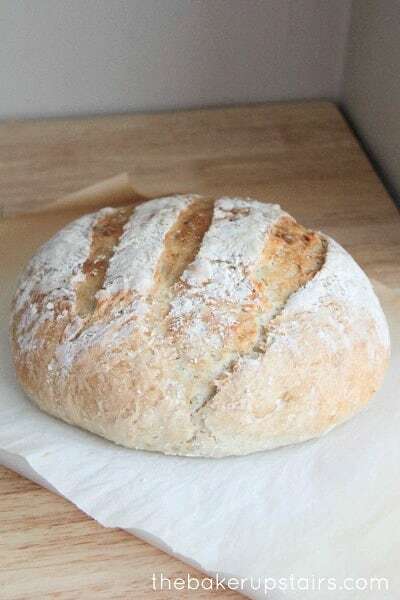 I love all sorts of breads so I’ve put together a delicious collection of homemade bread recipe ideas to try. Once I master my mom’s recipe, I’m sure I’ll feel more confident to tackle these ones. 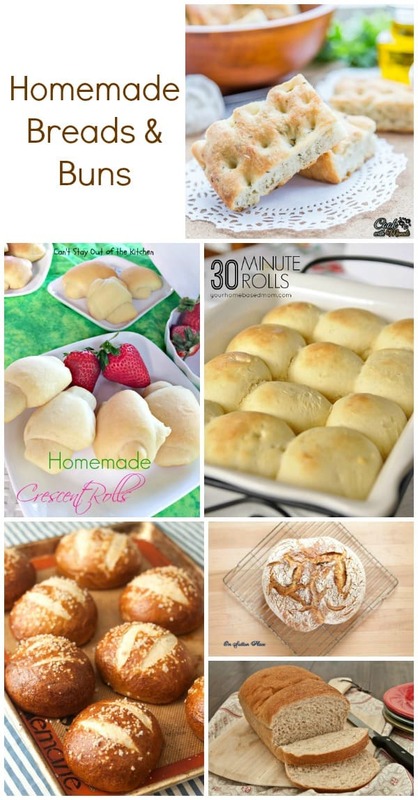 This is a collection of homemade bread & bun recipes from other talented bloggers and masters in the kitchen. To view the full recipe for each, simply click on the title and it will open in a new window for you. Focaccia bread may be my favorite type of bread! If I ever see it used for a sandwich on a restaurant’s menu, it’s always the meal I order. 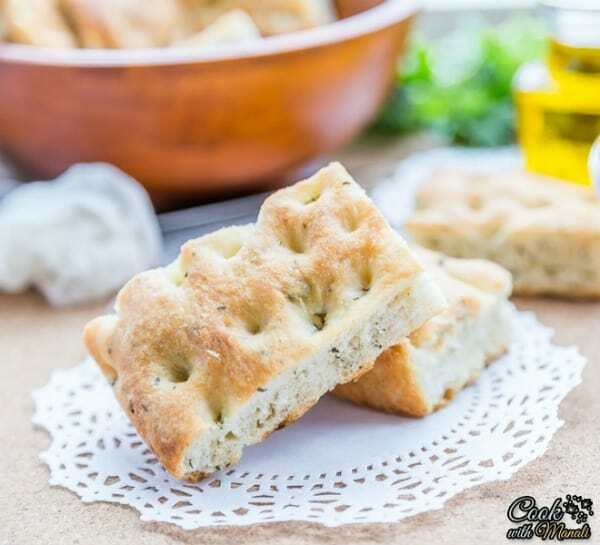 This Focaccia Bread with Herbs (pictured above) by Cook with Manali looks delicious! Have you ever had a homemade burger on a pretzel bun? Oh my gosh – it is so good! 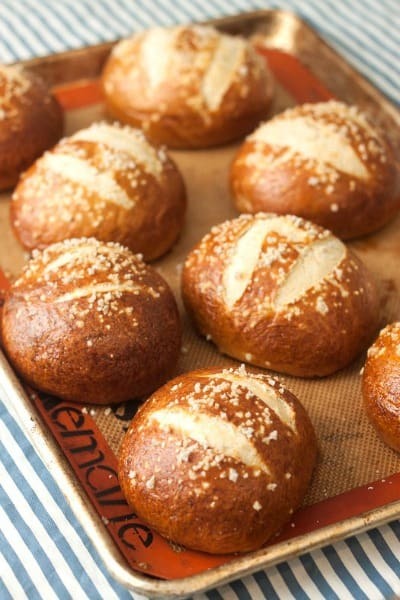 These Pretzel Buns by Tide & Thyme would be perfect for your summer BBQ parties. 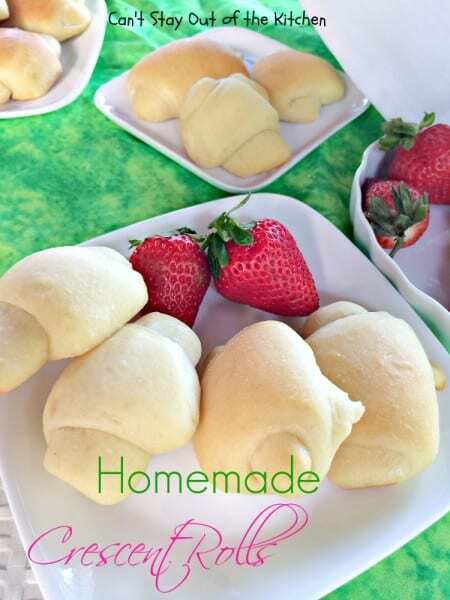 These Homemade Crescent Rolls by Can’t Stay Out Of The Kitchen would be perfect for a bridal shower, baby shower or a ladies luncheon. This Quick & Easy Crusty Artisan Bread by The Baker Upstairs as featured on Somewhat Simple would be perfect for making your own deli-style sandwiches at home. My mom always uses French Bread for French Toast. I love turning French Bread into garlic toast to go with spaghetti. This French Bread recipe by It’s Always Autumn comes with a delicious garlic spread recipe. 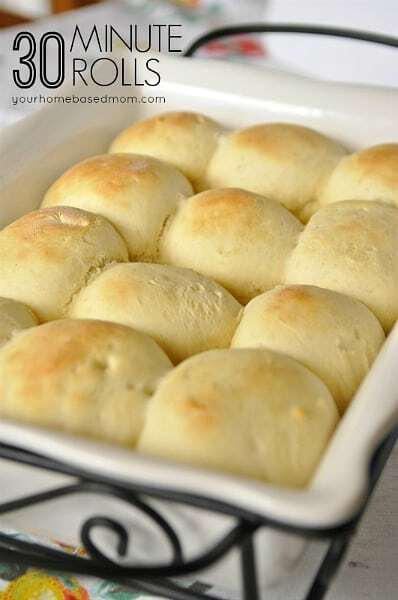 These 30 Minute Rolls by Your Homebased Mom look like they’d be perfect with chili, stew or even picnic sandwiches. 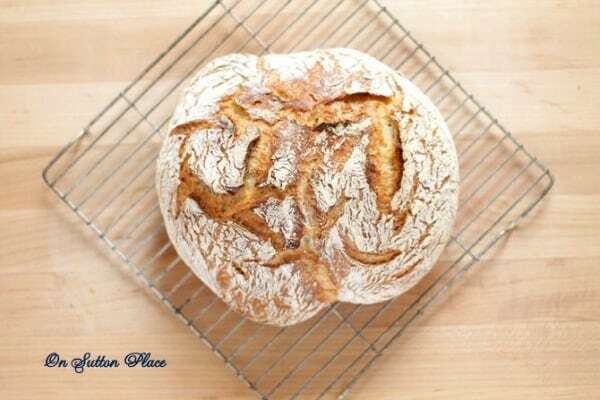 This 4 Ingredient Round Bread by On Sutton Place sounds easy enough to make…even for someone inexperienced like myself! 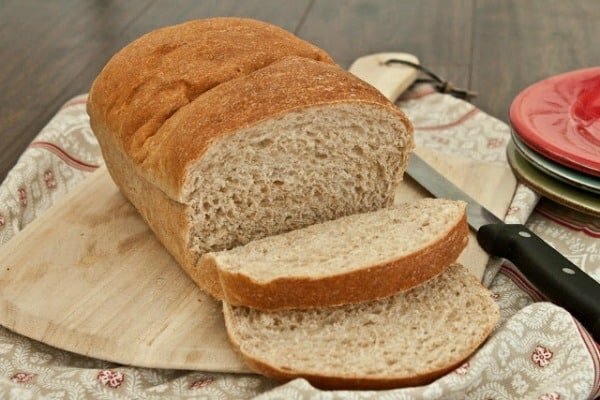 For an everyday bread to enjoy for breakfast, I’d love to try this Homemade Wheat Bread by Sweet Treats & More. When it comes to bread & jam, nothing beats homemade. Visit our Easy Party Food & Family Meals page for more ideas. We’re always adding new ideas for family fun & parties! Never miss an update by following us on Facebook, Twitter, Pinterest, Google + and Bloglovin’. They all looks so good Thanks for including my 30 minute rolls!